Thanks for visiting our featured page of the best snowboard and ski goggles for this season. Getting the right pair of snow goggles for the conditions you will be facing is a big part of maintaining awareness and vision of your surroundings. Nobody wants to be that guy (or girl) stuck in a blizzard with a pair of Ray Bans on. You need a pair of goggles with the right lens, comfortable fit, and of course most importantly they need to look stylish. Some individuals buy multiple pairs for different occasions, though many goggle manufacturers offer models where you can swap lenses on the fly if conditions change or the sun starts to set. What are the best snowboard goggles/best ski goggles? Depends on what you need. From the king of snow goggles Oakley to lesser known brands such as Bern and POC, there’s something for everyone in this best of list. The first stop on this run is our comparison chart of the top ski goggles. Following that, we have a general discussion about ski and snowboard goggles. We talk about what’s important and why there are so many different goggles and types for snowboarding and skiing. You may also want to hit the selection guide park on your way down. At the bottom, last but not least, is our top picks in the ski goggles review section. There, you’ll find the best snow goggles in each price range and why. These slick goggles will keep the salt spray out of ye eyes and your vision clear. Glad you survived the run and made it to the lodge, well-stocked with the best snowboarding gear of course. Here we have it: the best goggles for snowboarding and skiing currently available. These bad boys are so ridiculously awesome they may even blow you right off the chair lift. We update our pages regularly, so you’re always viewing the freshest information and latest product selections. In this list we have the top manufacturers and their best pair of goggles for the money. The Cloud 9 Kids Snow Goggles are a great choice for your little ones. They come in a variety of colors and small sizes and perform as expected to keep your children safe without sacrificing on performance. Double lens design includes UVA and UVB protection as well as anti-fog coatings and airflow ventilation. Dense facial foam adds to the comfort, and the goggles ship with a storage case and microfiber cloth. Sleek and stylish, the Tough Outfitters Assault Ski Goggles help you attack double blacks. They come in mirrored and clear tints, protecting your eyes with UV 400 protection. They keep your ride clear with dual-lens anti-fog coating and work perfectly with all helmets. What’s even better than their impressive quality? Their price. Never heard of Tough Outfitters? You’re welcome. These guys design, manufacture and sell their own products direct to you, cutting out middlemen like ski resorts. Premium products without their premium prices is their motto. Yarrr. These are the best value ski goggles for night time boarding or skiing. Sure these are cheap ski goggles built for both sand and snow sports, but it doesn’t mean they don’t do just fine for a few night runs here and there. This is a great low cost option that features a quality clear lens for the price. If you occasionally do night runs this is an ideal secondary pair of ski goggles. Plus, SCOTT offers 8 color options to choose from. The Smith Optics Unisex Goggles are a versatile option for men and women of all ages. They come in a variety of colors and sport a medium fit that works with nearly every helmet. Anti fog lenses with airflow ventilation provide clear vision while the compression strap and silicone face foam offer a comfortable fit for daylong use. Coming in at an affordable price point, the Bern Eastwood medium-size goggles are perfect for amateurs and professionals alike. Featuring everything you need to safely hit the slopes, these large spherical lenses are perfect for keeping your eyes safe and forward. The frame features PLUSfoam tech for a comfortable fit and the interchangeable lens system offers convenience and style. The OutdoorMaster Ski Goggles don’t disappoint thanks to interchangeable lenses and a frameless design. Suitable for a range of ages, these goggles wok perfectly with any helmet and can slip on and off of glasses without any hassle. Anti-fog coating and lens technology offers total UV400 protection for added safety and top performance. A great choice at an even better price. The Challenger Goggles by Glade are the best goggles for skiing and offer a solid combination of comfort and performance. This pair of cylindrical goggles are durable and treated with both anti-fog and anti-scratch coatings. They offer a large variety of replacement lenses, for whatever environment you can think of. The burnt orange and green lens are perfect for both blue bird, snowy, and overcast conditions. You’ll be able to clearly see the definition and texture of the snow a particularly important feature when you’re trying to safely navigate a black diamond. These beautiful goggles are as stylish as they are powerful. The unique EXV frames offer increased peripheral and depth of vision, in one compact frame design. Vision is crystal clear thanks to the patented VIVID lens system that blocks harmful rays and enhances optics. Totally compatible with all helmet systems, these goggles are a great way to add style and performance to your snow gear. The Zeal Voyager Goggles by Zeal Optics feature a sleek design that makes moving through the snow an absolute breeze. Thanks to anti-fog infused lenses, impact resistant frames, and triple density foam bands, you can expect a durable goggle that performs and feels beautifully. Custom blend bands wick away moisture while the lenses reduce glare and eye strain, making for a the perfect set of the best ski goggles. The POC Lobes Ski Goggles are a stylish way to hit the slopes. Thanks to their anti scratch and anti fog coatings, you can expect clear visibility under any conditions. Polyurethane frames and injection molded lenses provide additional safety and durability for top performance. Silicone grip rests gently on the face while the cozy headband provides daylong comfort. If they are good enough for US halfpipe ace Danny Davis, then they should be good enough for you. These are probably the best snowboard goggles of 2018 right here. The Swiftlock lens change system sets the gold standard for interchangeable lens goggles. Frameless tech, triple foam, micro fleece lining, cylindrical lenses, and armored venting round out this pair of goggles nicely. Brand new from Electric California, the EG3 builds upon the highly successful EG2 goggles. Electric’s EG2 goggles were an industry favorite. Electric California, the OG of oversized lenses looks to have done it again. The brand new Electric Press Seal System helps you get an air tight seal, for a perfectly controlled interior lens. Naturally, the oversized spherical lenses of the EG3 are some of the widest available. For those hunting for the best men’s ski goggles or women’s ski goggles, the EG3 is a great choice. The Smith I/O Goggles are arguably the best women’s ski goggles/best women’s snowboard goggles available. With many female friendly frame and strap styles, these are some of the prettiest goggles around. 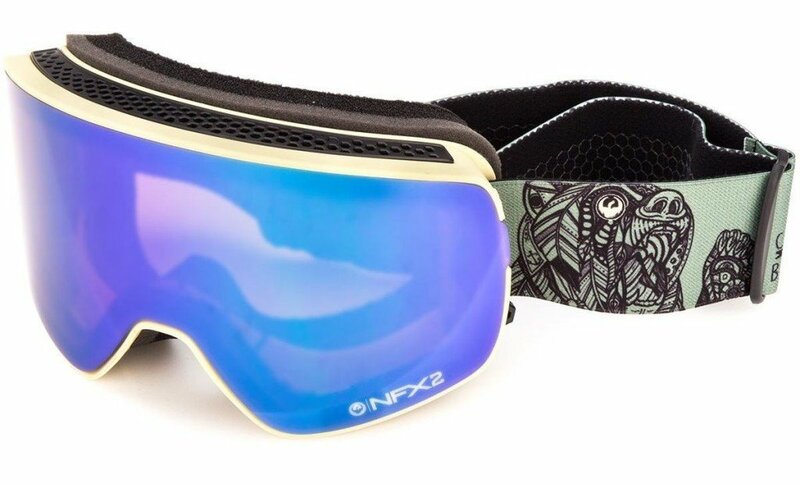 A lot of women struggle with finding the right pair of women’s snowboarding goggles. Smith Optics offers these goggles in dozens of styles and lens types too, so you can get the exact pair you are looking for. The I/O’s feature Smith’s quick release system to swap between low and bright light lenses. If you’re looking for a bargain, Smith Optics definitely makes some of the best ski goggles under 100 bucks. You want the best ski goggles? This model from Oakley definitely makes a good case for that title. These fine goggles will help you accomplish mission impossible. The Flight Deck XM Prizm goggles are inspired by the helmet visors of fighter pilots. The frame-less lens is gorgeous and maximizes your peripheral vision. The dual pane, anti fogging lens offers adrenaline junkies the top in class performance. The “Prizm” tech built into the lens boosts contrast in flat light. Sure they are spendy, but that’s to be expected from the latest 2016 goggle model from Oakley. The Optic Bravo Goggles by Spy are exceptional quality eyewear made right here in the USA. These midsize Goggles feature a number of incredible perks including lock steady technology, fingerprint-free coatings, and a comfortable band that’ll keep you happy all day long. The Anon M2 are some of the finest ski goggles around thanks to Anon’s proprietary Magna Technology that lets you swap out lenses to suit your needs! Plus, the spherical lens tech combined with anti-fog coatings and integral clarity technology means that their performance is unrivaled. Adjustable strap is comfortable for wearing hours at a time, and each purchase ships with a compression-molded case and microfiber bag. Many times it has been said that of all your mountain gear the goggles are most important. 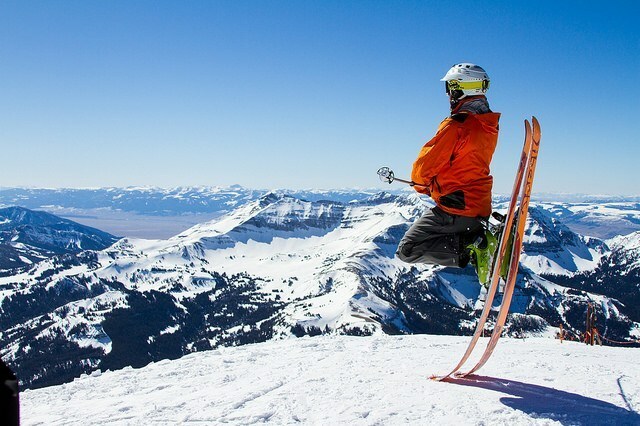 As a wise man once emphasized, “The better you see, the better you ski. It’s that simple.” Good vision is imperative to not only staying safe, but also locating the prime powder and route to take down the mountain. At high altitudes the air is thinner which means less ultraviolet rays are filtered out. That makes the sun’s reflection on that perfect white snow that much more brighter and intense. Not to mention harsh wind that will make your eyes tear up and blur your vision. The best ski goggles will be comfortable, protect your peepers, and won’t go flying each time you take a little tumble. Sure, you may be able to get away with sunglasses on a perfect day. The stars need to align: warm weather, low to zero wind, and no precipitation. At the mountain weather can change fast and you don’t want to be hunting around for a pair of 100 dollar Oakley sunglasses in poor visibility. A pair of snow goggles is almost always a better choice. 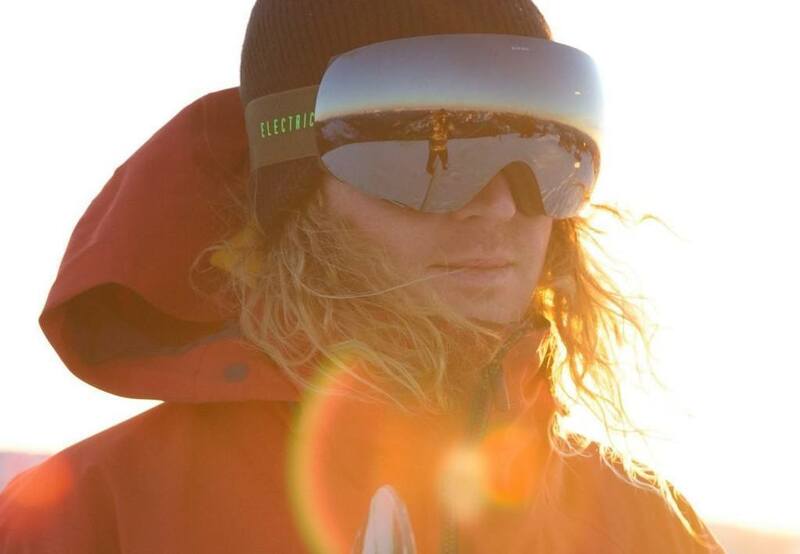 Some of the latest goggles enable you to switch lenses according to the weather conditions — darker lenses for brighter conditions, lighter lenses for poor light, and clear lenses for night time shredding under the floodlights. There’s no two ways around it, there are a ton of snowboarding and ski goggles out there. Each model usually has its own nuances that make it special. 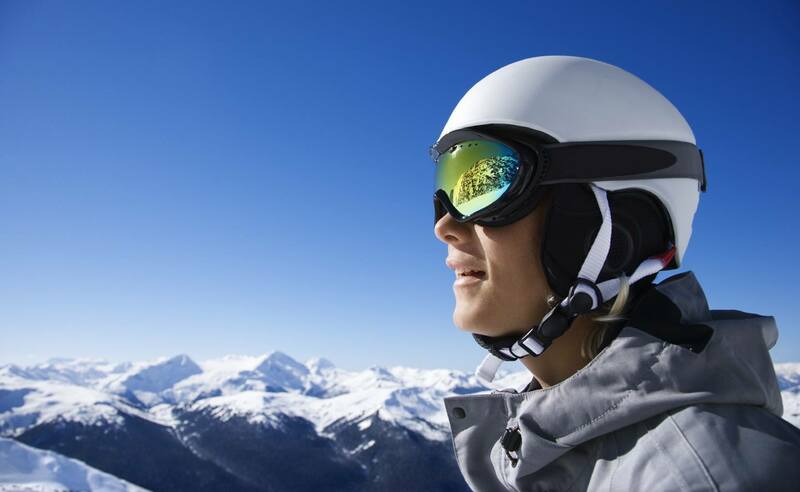 Whether it be anti-fogging, extra UV protection, special coatings, spherical/cylindrical lens, or one of the many more elements that compose a pair of snow goggles each one comes with its own pros and cons list. The benefit of having so many options is that if you’re smart about it, you can pick out a pair that features exactly what you need. The downside is that it takes a little more time to sift through the options and find the right one. Keep in mind that women’s and men’s as well as skiing and snowboarding goggles all serve the same purpose. While for example some goggles may be marketed as special women’s snowboarding goggles, really the only difference is coloring and style. As long as they fit, men’s goggles can be worn by women and vice versa. The best snowboard goggles are going to make great ski goggles and the best ski goggles are going to be great snowboard goggles. What makes or breaks a pair of snow goggles is the lens. Going from a low quality to high quality goggle lens is like going from a standard definition TV to high definition. Shape: There are two main shapes when it comes to goggles: cylindrical and spherical. Cylindrical curves from left to right across your face, but vertically they lie flat. They cost much less, but you sacrifice some peripheral vision and the flatness sometimes causes more glare. Spherical lenses are holistically curved (both horizontally and vertically). They cost more but offer better peripheral vision, less distortion, and reduce glare. Tint: Lens tints are rated using visible light transmission (VLT). The higher the VLT, the more light that will pass through the lens. So for example, extremely dark tints have a very low VLT because little light passes through them. Brown, copper, and gray-colored lenses offer reduced VLT and do well on those bright bluebird days. Light tinted lenses such as green, gold, yellow, and amber are higher VLT and a good choice on cloudy days. As you’d imagine, clear lenses are ideal for night skiing. Ventilation: Your body generates heat, especially when twisting and turning when making your way down the mountain. When that heat meats the cold air condensation will form and your vision may be compromised. That is unless you have a cleverly designed pair of goggles. Double-layered lenses, vents, and anti-fog coatings all help prevent the lens from fogging. Some of the high-end models even have small battery operated fans that help disperse moisture. Size: The larger the lens, the better peripheral vision you will have. That is why some manufacturers have moved to “frameless” lenses that maximize every fraction of an inch to give you the best vision possible. Of course, these models are usually the most expensive as well. Other Lens Features: Here are a number of other lens characteristics you may want to be aware of. Mirrored Lenses: These lenses either have full or partial coating on the outside of the outer lens. They allow 5-50% less light in than non-mirrored lenses. Polarized Lenses: Polarized lenses main function is to reduce glare from the sun’s rays on snow and water. Interchangeable Lenses: Many new goggles let you swap lenses to adapt to different weather conditions. Photochromic Lenses: These fancy lenses automatically change tint level according to UV intensity as well as weather conditions. Whether indoors or outdoors, the tint gets lighter or darker. Digital Display: Smart goggles now offer advanced technology such as a HUD overlay, GPS, performance, and smartphone information in real time. Follow the guide and you will be sure to pick out a pair you’ll be happy with for many seasons to come. The ideal pair of ski goggles are snug but not uncomfortably tight. If you have a rather large or small head some models are better suited for these head sizes. Some goggles are designed for women’s and kid’s sizes too. Nevertheless, most snow goggle frames are constructed with polyurethane because of the material’s flexibility. Generally all goggles have some sort of strap adjustment whether it be a sliding clip or open and close buckle. There are a few select kids goggles that are one size fits all. Hand-in-hand with fit is comfort. Helmet compatibility is one thing to look out for and though most are helmet compatible, you may still want to try on the goggles with your helmet to ensure a comfortable fit before buying them. If you haven’t ditched the glasses for contacts and don’t plan to, you’ll want goggles with an over the glass style. These “OTG” goggles have extra space to fit glasses underneath without applying pressure to the nosepiece or temples. You should not be constantly aware of your goggles. If it is too tight and squeezing your head and face, you’ll be constantly aware of them. That decreases your focus on what’s most important: shredding powder. Just the right balance of foam padding is necessary too. Too thick and fogging may become a problem, too thin and you’ll feel the pinch. The lens is the cornerstone of a quality pair of goggles. There are a wide spectrum of lens types available. As a general rule of thumb, darker lenses are best for bright, sunny conditions; lighter lenses are better for cloudy conditions. Clear lenses are best for night boarding or skiing under the floodlights. If you’re planning on doing a lot of mountain trips, you may want a couple pairs for different conditions or a pair that allows you to switch out the lens. Bluebird days: brown, copper, rose, and gray-colored lenses. Cloudy days: green, gold, yellow, and amber colored lenses. Head turning snowboarding or ski goggles are not at the top of everyone’s list, but style points are worth considering. If you’re going to drop a lot of cash on a nice pair of goggles, you may as well get some that look decent. We’d still suggest putting comfort and lens quality first, but all else being equal go for the style or color that appeals to you.